It was my birthday and I wanted to try somewhere new. My friend heard that Salt Wine Bar was excellent. I made reservations and off we went. Close to Ossington & Dundas, I walked right by it! I completely missed the sign on the sidewalk, but still made it on time. Keep an eye out when you head over! When you get inside you are surrounded by wine. They have a large wine list, many of which I had never heard of. Their cocktail list is also interesting, some ingredients I had never heard of. It was a night to learn of new things! Our server was patient as we tried to decide what to get; everything looked amazing. We decided! Sea Bream Ceviche($13), Lobster & Pork Belly($18), Jamon Serano & Manchego Croquettes($8) and Truffle Gnocchi($22). The ceviche arrived first. We each ordered our own and we were glad we did. It was to-die-for. 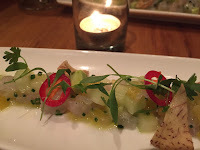 The mixture of the sea bream, cucumber and pineapple made this an instant favourite. 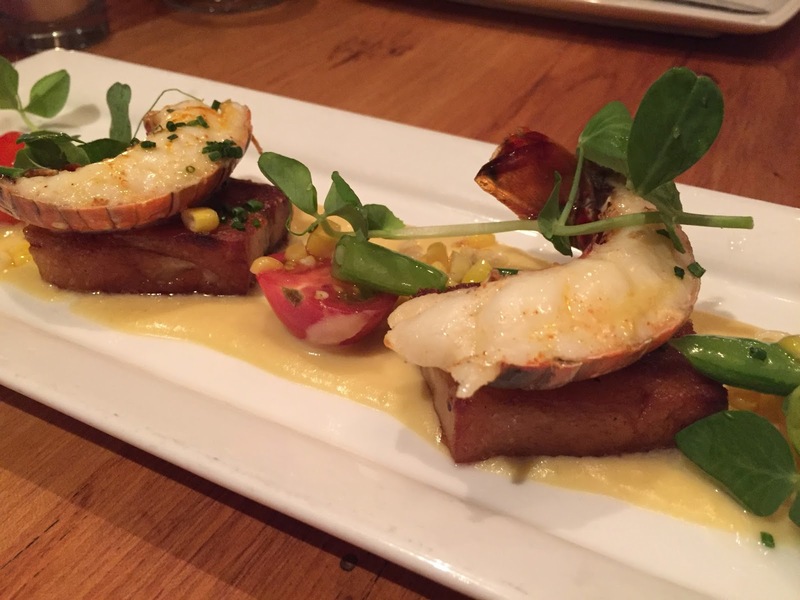 My Lobster & Pork Belly arrived and it looked so pretty, I didn't want to eat it. It was alright, the small lobster tail was a little tough, but the pork belly was fatty, juicy and tender. 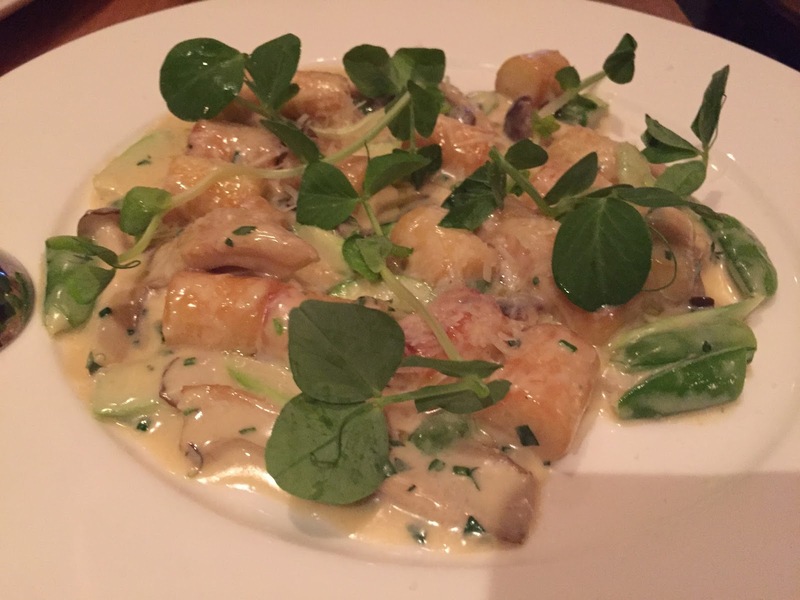 The Truffle Gnocchi is the kind of dish that you involuntarily roll your eyes back in your head with your first bite. Creamy and mushroomy, this was a fantastic gnocchi! 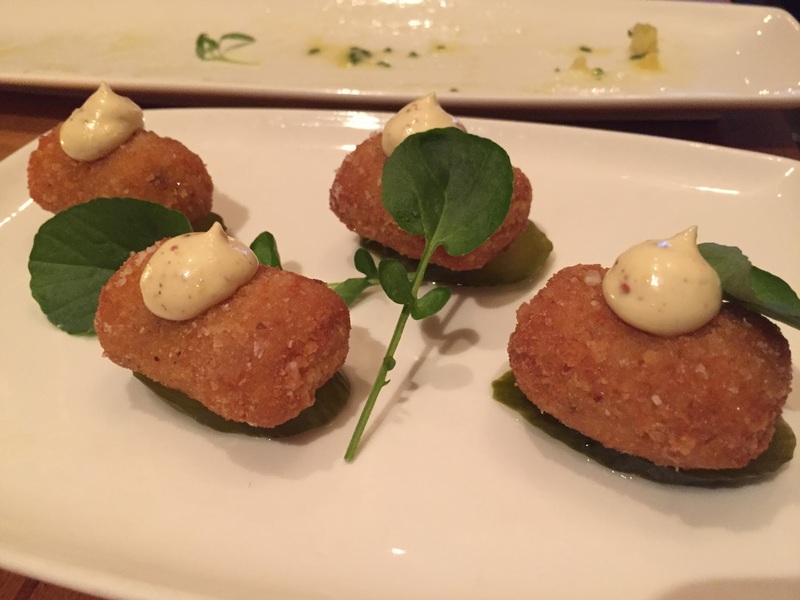 The Croquettes were also quite taste and super cute. The smooth filling topped with grainy mustard was a great plate to share. Dessert! We saw Crème Brulee on the menu and knew we had to get it. It arrived and you could tell it was just made. Sugar was warm and the custard was creamy. I told them it was my birthday and our server put a candle with it. So sweet of her! A great ending to fantastic meal. I'd love to try the rest of the menu. I can't believe every dish was so good! Must have more!